How does an automobile manufacturer make a splash when entering a new market segment? In the case of Cadillac, it&apos;s all about science. 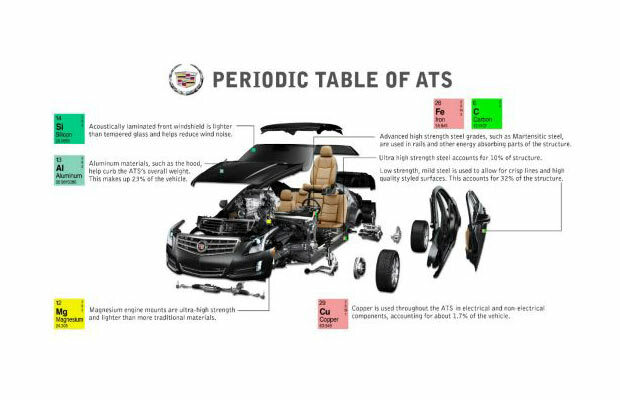 When preparing the critically acclaimed ATS, the brand&apos;s first compact luxury sedan, engineer&apos;s took a chemistry-lab approach. Martensitic alloys and ultra-high strength steel help minimize weight…which helps maximize safety and speed.